I’ve read a lot of Young Adult books lately, both good and bad. Sometimes I will read a book that reads like YA, but in fact should be more on the border of adult, and this book fell into that category. Kind of a gray area of not really YA, but not really adult either. Alexia is a teenage girl, and it’s the summer before her senior year of high school. She goes for her annual summer vacation to her uncle’s house. She has several teenage cousins that live there, and she loves visiting. 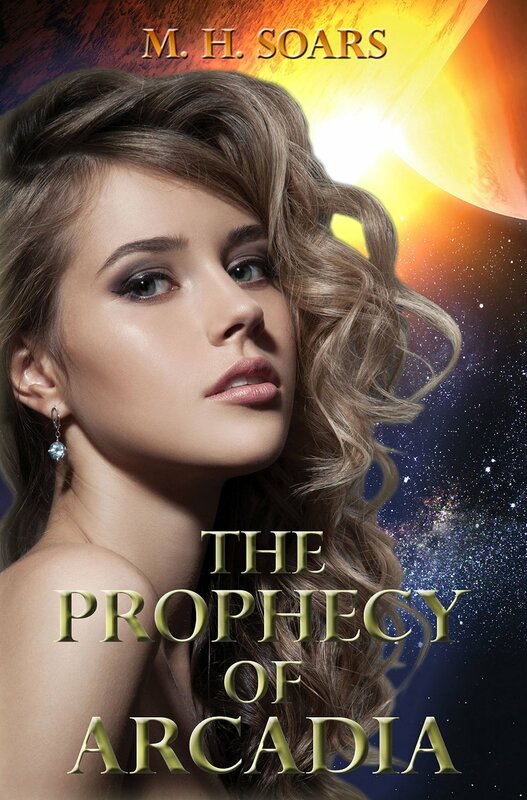 What she doesn’t know is, she’s part of a prophecy, and it’s going to be up to her, and her Chosen mate to help save the people of the planet of Arcadia. Her cousins are not really cousins, nor is her uncle, really her uncle. Her cousins are her protectors during the summer. Not sure why she doesn’t have protectors the rest of the year? Anyway, it probably has something to do with timing. The Arcadian council feels that she should be meeting her Chosen at any time. It’s completely a secret that they all keep from her. I am not sure why about that one either, but then a lot of what goes on, would never happen if she knew. You would think that Alexia would be the main character, but not really. She shares that with her “cousins” Samantha and Matt. The story is told in the first person point of view, but from three prespectives. In the beginning, I wasn’t sure if I was going to like that, but it worked out pretty well in the end. I think Samantha was my favorite of all the characters, although I did like Alexia and Matt as well. I thought the premise was interesting, and the writing well done. However, a few times there just seemed to be too much going on, and therefore lost some of the focus of what the book should have been centered on. And that would be the Arcadian War, the prophecy, and Alexia’s falling in love. At least, that is my opinion. I think I would have liked to read more about Arcadia in particular. However my main problem with the book was the cliffhanger. Some cliffhangers I don’t mind as much as others. This one just left too much unknown, with too many loose ends that needed answers. All that being said, I did enjoy the read. There were good characters, and most of them were well realized by the author. As I said before, the premise was good, there were some surprises along the way, some things that the reader realizes before the characters, action, and a couple of good romances. And oh yes, villainous aliens! I do plan on reading the next one, because I really want to know what happens next! Due to sexual situations(not explicit), violence, alcohol use, and drug use (but not by a main character), I would recommend this to ages 16 plus-possibly older depending on the maturity level of the reader.